Shikhar Dhawan has to up the ante in the Powerplay overs as it will not be possible for Rishabh Pant to be the swashbuckler everyday, feels Delhi Capitals coach Ricky Ponting. Delhi lost to Chennai Super Kings by six wickets in their second IPL game on Tuesday night. Dhawan's batting has become a talking point as he didn't score at a particularly good pace even in the opening win against the Mumbai Indians. Asked if he would have liked Dhawan to accelerate, Ponting replied, "Ideally, yes you'd like that. But it obviously wasn't an easy wicket either for anyone to go in and strike, especially at the end of the PowerPlay." Dhawan's strike-rate has been less than 115, which is considered poor in T20 format as his scores of 43 off 36 balls (MI) and 51 off 47 balls (CSK) would indicate. "There's a certain role that we want Shikhar to play in this team. Even by his own admission, he would've liked to score quicker today but at the 15th over mark we were 118 for 2," Ponting said. "We struggled to get to 147 so it's the back-end of the innings that I am sort of most disappointed in because I think we set up the front part of the innings pretty well," he added. It was Pant's dismissal that became the difference between a good and a below-par total. The former Australian skipper said one shouldn't expect the maverick keeper-batsman to do the job everyday. The Australian batting legend, however, refrained from being overtly critical of Dhawan's performance. "...in an ideal world, yes, we'd want Shikhar to score quicker but it was difficult. He'd hurt his ankle while batting as well so his usual running between the wickets was a little bit hampered tonight," Ponting cited the senior opener's niggle as one of the reasons for his slow batting. 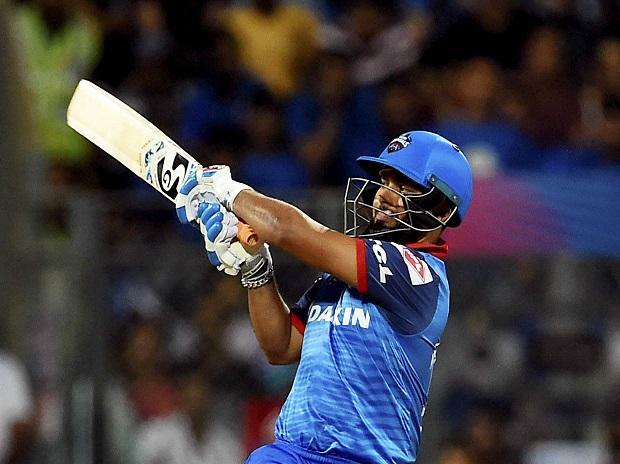 When the Delhi Capitals batted, the pitch looked different from how it played when Shane Watson and Suresh Raina attacked the bowlers in the Powerplay overs. The coach ruled out pitch being a factor. "I don't think the pitch was a factor. I think the pitch remained pretty similar all the way through the innings. I think CSK when they were chasing that sort of a total, having bowled first on the wicket, they knew was going to slow down a lot in the middle overs," he said. Ponting said he firmly believes that it wasn't poor bowling but batting at the death that cost them the match.